In fact, we have not heard about pro-essay-writer.com until recently we received a message from one student that was disappointed with the service and asked us for advice. If you google the agency, you can find both positive and negative reviews, and the latter ones are dominating, unfortunately. So in this review, we will try to find out the main pros and cons of the service and why they failed to deliver the essay for this guy. When you open the website, you can see a landing page in red and grey colors and a lot of text describing the services provided and explaining why they are the best (obviously, nothing’s new). The first thing you can see is the form to calculate your price and then goes the list of advertising texts aimed to convince the customer to place an order. The agency offers delivery of different kinds of research papers, but there is no full list of services provided, so we decided to look deeper and make a test order. It is pretty hard to find out the price in advance before you actually place an order. There is a small chart but you cannot pick the deadline and number of pages to calculate it. 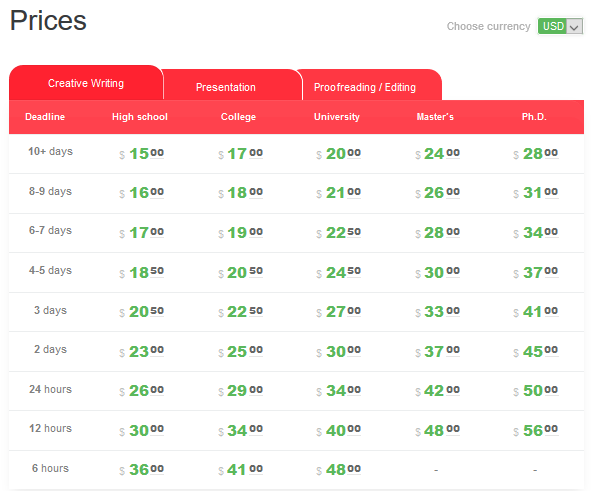 Prices for non-urgent papers are pretty reasonable, but starting from one week they appear to be way above average. So if you are willing to place an order with a set deadline, be ready that prices you see will grow in geometric progression. We were especially interested in discounts they provide but did not find any. If you go to FAQ section, even at the direct question there is no direct answer, they just offer to call and confirm possible discounts via the phone. Here comes the most interesting part. No, pro-essay-writer.com is not that bad as you might imagine. Their prices are high but they probably should match high quality. So we placed an order for a simple essay in History and the writer was assigned almost at once. However, after a few hours they re-assigned the writer explaining that he did not have enough experience. It would have been fine if they had not done it three times – the day after and one day later. If we were students, we would definitely be worried about this constant change. Finally, we got the paper but the deadline was missed and the paper required a revision. The good thing was that there were no grammar or spelling mistakes: however, lack of creativity and change of writers made a negative impression. Customer service should definitely be improved: we waited over 10 minutes to get a reply via phone and they respond to emails only twice a day (or maybe just in our case, who knows). The agents were friendly and did their best to provide us with all necessary information. 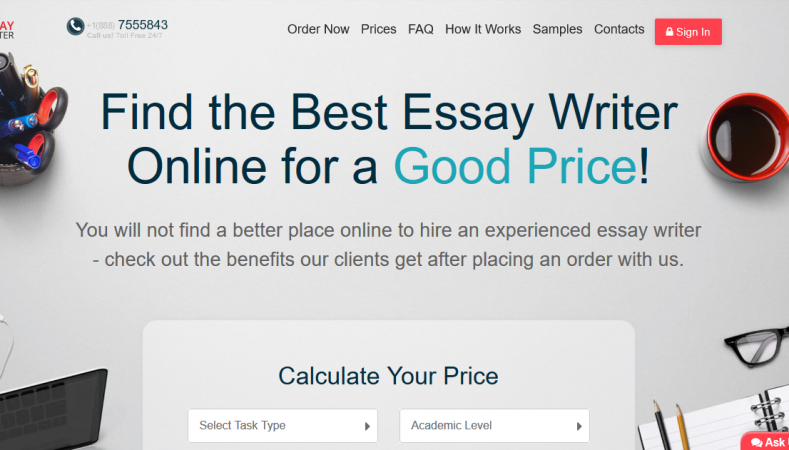 Now we understand why pro-essay-writer.com failed to deliver a good essay for that poor student: lack of communication and high prices require improvements and the writers should be more responsible when taking an order they cannot cope with.